It’s Thanksgiving, and I’m still Swole Ear-ing it up. To be honest, I never thought I’d make it so far into this project. With less than one hundred days to go, the finish line is almost in sight. But, I do have a few international readers. To all of y’all, I apologize. Happy Thursday. Anyway, Ryan Adams’ Ashes & Fire is a pretty generic record of the alt country genre. However, that is not necessarily a bad thing. But Dr. Swole, why isn’t that necessarily a bad thing? I’ll tell you, in a manner that I hope exceeds 110 words. Man, I’m really dragging this one out today. Personally, I really like alt country music. Therefore, if a record contains all of the characteristics associated with that genre, I’m going to like it. That’s the transitive property, I believe. I can’t be sure, though, because Geometry isn’t my strong suit. 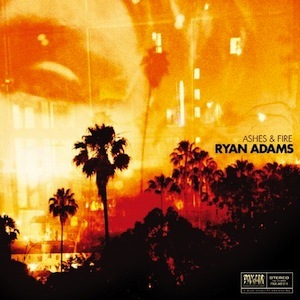 Ryan Adams’ Ashes & Fire has all of the traits of your average alt country record. It takes no leaps or bounds, and it doesn’t try to move the genre forward in any manner. That’s fine by me. Wilco proved in September that alt country shouldn’t be messed with. This album is perfect background music, and I don’t mean that as an underhanded compliment—you’ve got to have records like that in your collection.